Are temper tantrums a fact of life in your household? But what if tantrums were actually beneficial? Sounds peculiar that such behavior could be considered valuable, doesn’t it? Well, temper tantrums are indicators that something is out of balance, not only behaviorally, but probably physiologically. And since symptoms are the key to choosing the proper homeopathic remedy, then this aberrant behavior can actually become useful in addressing the underlying cause. While it is true that these pathologies can be age– or family–related, we should bear in mind that they are still pathologies. Therefore, even if they present, this doesn’t mean that they belong there. 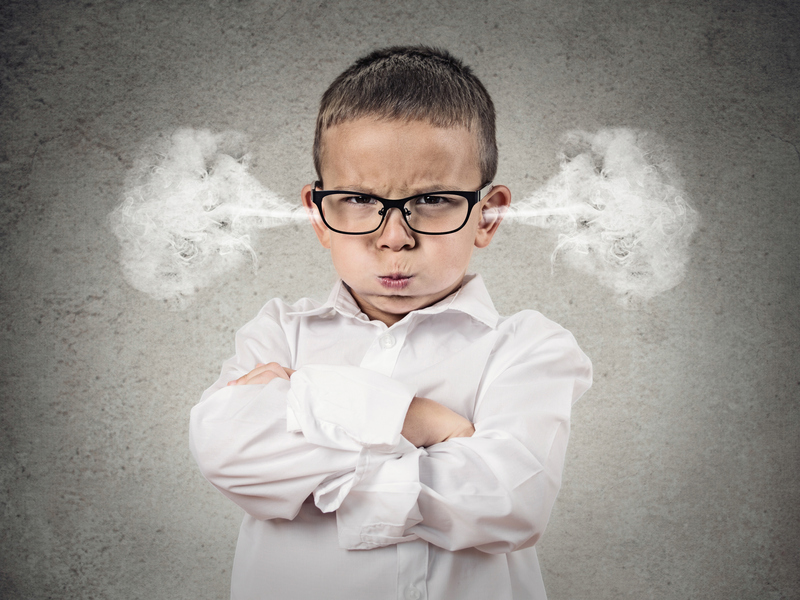 Not every toddler throws a tantrum and not every teenager needs an attitude adjustment. These problems are particular to the individual and are symptoms to which we ought to give our full attention. They reflect an idiosyncratic personality that can be guided and brought to its best state through homeopathic remedies. Homeopathy is gentle and won’t change your child’s personality. When the remedy is chosen correctly, it will bring your child into balance both physically and emotionally. Read through the following descriptions to find the remedy that best fits the entire “picture” of your child’s symptoms. Administer one dose in the 30th potency every 3-4 hours until improvement is seen, then stop. If no improvement after the fourth dose, try the remedy that seems to be the next best fit. For more severe symptoms, the chosen remedy can be given every 1-2 hours. This is the remedy to use for symptoms brought on by going “over-the-top.” Ailments are brought on by too much sugar, too many drugs, too much stress, pressure, work, food, drinks, etc. Irritability is a key factor in this remedy along with gastrointestinal issues such as gas, bloating, constipation, and diarrhea. Although irritability is addressed by Chamomilla, it also encompasses symptoms that result from anger. Symptoms include fractious behavior and acute sensitivity; that is, the reaction is far too great for the stimulus received. Words or physical touch which would normally cause a much less severe response will prompt testy and crotchety comebacks. This remedy is also particularly useful in cancelling out the workings of unnecessary drugs. Individuals who might benefit from Lycopodium are generally insecure and cowardly and are typically afflicted by gastrointestinal complaints. Though they appear confident and self-assured, they worry about how they are perceived and judged by others. Their worries increase when they are by themselves so just having someone nearby alleviates their anxiety. The behavior is often cross and cantankerous. As its name alludes, Coffea is made from coffee beans, and it addresses those pathologies which are similar to the ill-effects of caffeine. Though there isn’t marked anger or anxiety, which the former three remedies envelop, there is an inability to relax and the mind races. Despite these jittery thoughts, the disposition is quite even-tempered, though there might be some, though little, irritability. Because the mind is already quite excited, even the smallest pain causes inordinate distraction and there is an increased sensitivity to surrounding elements, such as noise, light, touch, etc. When parents ask me what they should do until the remedy takes effect, I tell them to indeed discipline the child. Just because the behavior may have physiological roots, it doesn’t mean the child shouldn’t be held responsible and taught accordingly. We all have our bad days, and we need to learn how to adjust accordingly, so as not to disrupt family life and society in general. Give the remedy most suited to your child and you might find that even if anger is still exhibited from time to time, it will be mitigated by an inner wherewithal that was previously absent. Easter Candy with Petroleum and Mercury? Yes, unfortunately, it’s true. 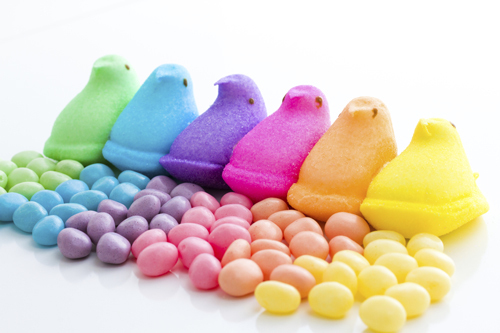 All those little “peeps,” colored eggs, and jelly beans are mostly high-fructose corn syrup and artificial colors derived from petroleum! With Easter just ahead of us, it’s time to think about what treats we are giving our kids. Did you know that high-fructose corn syrup is processed with mercury?! High-fructose corn syrup has no nutritional value; it is very addictive and it is more than twice as sweet as regular sugar. When consumed, whether in the form of candy, baked goods, or soft drinks, it causes a huge spike in blood sugar, and if that sugar is not immediately used up by exercising (computer games and texting don’t count! ), it is converted into fat and stored in the body…causing weight gain. It also causes insulin resistance, which leads to diabetes (currently an epidemic in America). As for the artificial colors, some countries like the UK, actually require that companies label products containing certain dyes with a warning. FD&C Yellow #5 or #6 are typically found in the bright yellow peeps. This causes many allergic reactions and studies have shown it to cause hyperactivity in children. FD&C Red is also a trigger for many people. Children, and even many adults, are not able to detoxify these chemicals readily. Studies have shown they contribute to hyperactivity. A combination of the high-fructose corn syrup, artificial colors, and artificial flavors have many kids “off the wall.” Other possible reactions include itching, sleep disturbances, and anxiety. So how can kids have a treat without all of these ingredients? The first thing to do is to become a label reader. Look for natural colorings that come from pigments of fruits, vegetables, or spices. Also, look for real chocolate without hydrogenated fat and high-fructose corn syrup. Try to get them to eat dark chocolate (which is higher in nutrients) instead of the milk chocolate. Children are attracted to the brightly colored paper, so if they are wrapped in that, they may not realize the difference. They can actually have a treat that is high in antioxidants and they won’t even realize they’re eating something healthy! Natur-Tyme now carries healthier Easter candy options. We also carry organic jelly beans that are made with natural colors and organic cane sugar instead of high-fructose corn syrup. We can still allow our children to have an occasional treat, but if we are conscious of what is in it, we can make better choices for them. As their taste buds adjust, they will learn to make better choices for themselves as they grow up. Did you know that pure magnesium is highly flammable, making it the perfect ingredient for the explosive energy needed for fireworks, jet engine parts, rockets, and missiles? It’s even more powerful in the human body, as it is involved with over 320 biochemical reactions! Because it’s used in every cell of the body, it’s frightening that 60% of Americans are deficient in this key nutrient. Some of the reasons for deficiency include the fact that we lose magnesium when stressed, that sweating causes magnesium depletion, and our intake is low because poor-quality soil has lowered the natural levels of magnesium in our food. Here are some conditions that may improve with magnesium supplementation. Insulin resistance is when cells don’t respond adequately to insulin’s attempt to shuttle glucose into cells after eating, resulting in elevated blood sugar and increased fat storage. It is the hallmark of pre-diabetes and metabolic syndrome. Research shows that people with adequate magnesium levels have appropriate insulin sensitivity and are at low risk for developing diabetes. People with the highest magnesium levels have a lower risk of developing diabetes than people with the lowest magnesium levels. The amazing fact is that even if a person possesses other diabetic risk factors such as smoking, sedentary lifestyle, and excessive weight, adequate magnesium stores will compensate. Inflammation is at the root cause of so many health problems, such as arthritis, heart disease, and obesity. 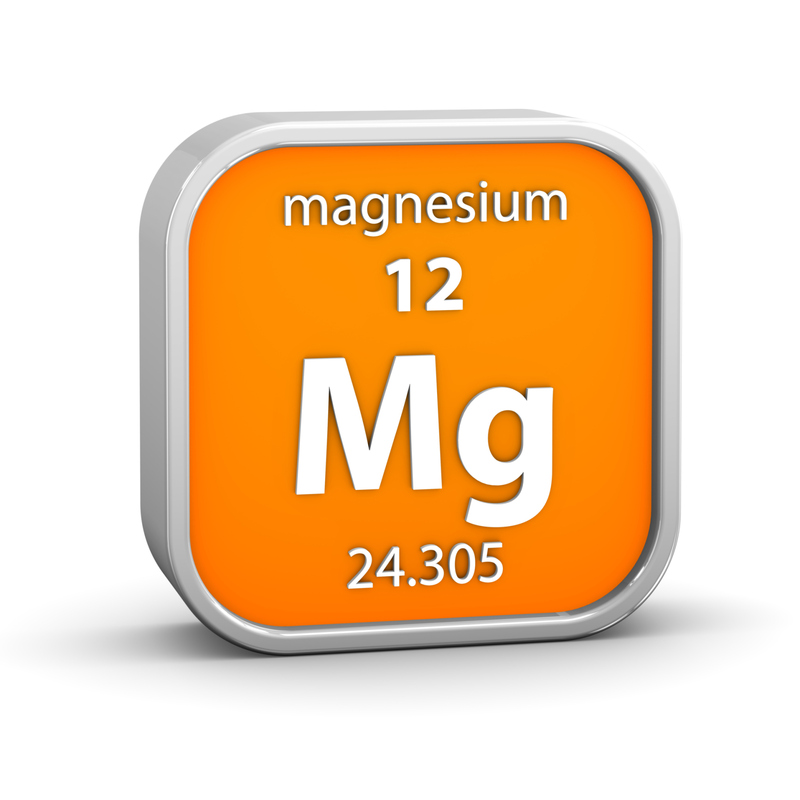 Magnesium has been shown to act as an anti-inflammatory. More than one study has shown that as magnesium levels decrease, CRP (a marker for inflammation) increases. Elevated CRP is associated with an increased risk of heart disease and other inflammation-related conditions. Magnesium deficiency may play a role in hypertension, as demonstrated by studies that have shown an inverse correlation between a magnesium-rich diet and risk of high blood pressure. Magnesium also has a dilating effect on respiratory passageways, so it benefits asthma for the same reasons as hypertension—it relaxes the airways so more oxygen can flow through. Anxiety is a symptom that can have a variety of etiologies, both physical and psychological, but magnesium deficiency is high on that list. Animal studies have shown that when mice are given a magnesium-depleted diet for several weeks, they begin to display signs of depression and anxiety. Those symptoms are alleviated when the magnesium levels are restored. Clinical studies have shown that magnesium can relieve anxiety and depression alone or in combination with herbal formulas. Magnesium works in conjunction with calcium to contract and relax muscles, which contributes to its relaxing properties. Add magnesium salts to your hot bath before bed for serious calming effects. Insomnia can result from many factors, with magnesium deficiency being at the top. Magnesium calms the nervous system, relaxes muscles, and counters stress. Replenishing magnesium can lead to a longer, uninterrupted sleep pattern. Magnesium comes in many forms, but be sure to avoid the oxide form if you want to maximize absorption. To determine the appropriate dosage, start with one or two pills, and increase the dosage over the course of a few days, until it has a laxative effect, then decrease the dosage slightly. This method determines the appropriate dosage for your individual body, based on your level of deficiency. If you want the laxative effect, then magnesium oxide or hydroxide would be a good choice. If you have a sensitive digestive tract and aren’t able to tolerate the levels of magnesium that you feel you need, add topical sources such as magnesium oil, which can be sprayed on the skin, or take magnesium salt baths. At first glance, magnesium may not strike you as an exciting, cutting-edge nutrient, but when you are lacking it, it can make a huge impact on your health!